To the ICM’s spooky celebration! Masks to make and things to learn. Pumpkin bowling and bats taking flight! Ghoulery jewelry! Oh, what a sight! Go on a scavenger hunt if you wish! In the near future, Monster Mash looms. Don’t forget to wear your costumes! 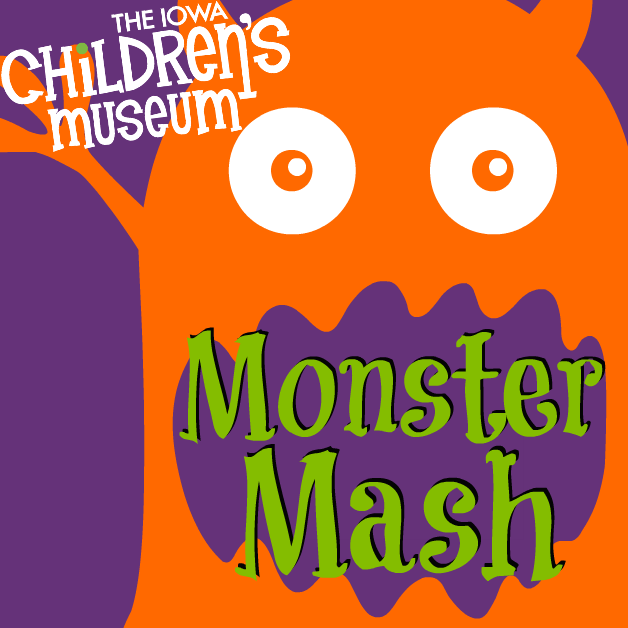 Come to The Iowa Children’s Museum on Sunday, October 28 for our annual Monster Mash Halloween celebration! The day-long fun runs from 11 AM to 5 PM. All event activities are included in paid museum admission. Costumes encouraged! Make spooky buttons, flying hosts, ghoulery jewelry, pumpkin oobleck, boo bubbles, Halloween masks, spider webs, and bats that take flight in a wind tunnel. The Art Studio will be transformed into a Glow Lab! Other activities include spooky cup stacking, a pumpkin scavenger hunt, pumpkin bowling, and a costume contest and parade! You might also enjoy Jack Splat!